The author's bio really does give a good summary of what the book is about. It provides a culturally significant introduction to the Chinese language. The book isn't written completely in Chinese, but it introduces words like grandma, eat, thanks, and pork dumplings in context so that the interested child can learn the words. 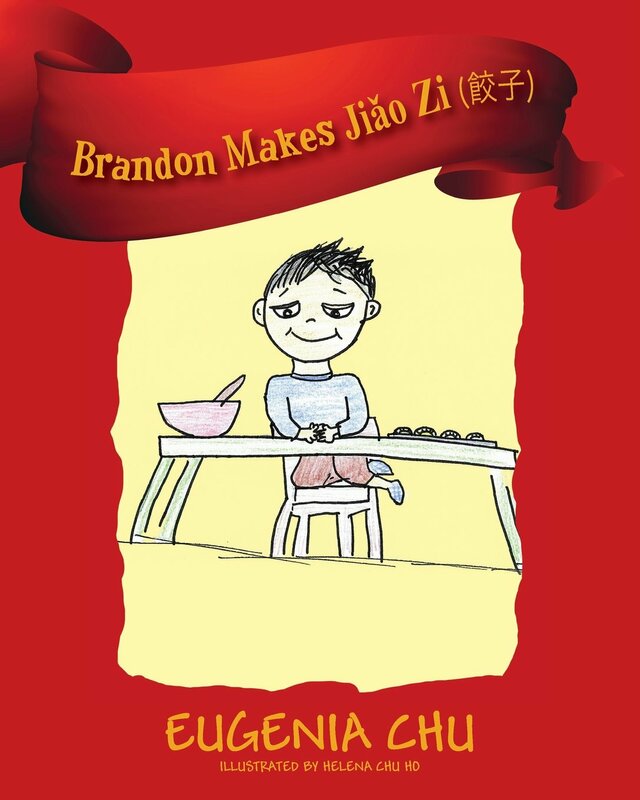 The story itself is cute as grandma is visiting from China to the United States and son Brandon wants to make dumplings with her. The book goes through the cooking steps including counting out the dumplings when done. Brandon Makes Jiǎo Zi (餃子) is a great way to teach some conversational Chinese words as it both spells out the words in pinyin and the Mandarin Chinese characters. So, the pinyin helps with the pronunciation that someone who has never read Chinese can speak the language. To get that word association, it is best if the child is looking at the book, too, so they can see both the child-like illustrations and the Chinese characters. If you're just reading aloud, they don't make that association, yet, until they read it themselves. There is also a glossary in the back that summarizes most of the Chinese words introduced in the book including the numbers from one to ten. The author mentions this is the first Brandon book, implying that there will be others. Outskirts Press is a self-publishing house, so it will be interesting to see what comes next. On Amazon, the title is currently ranked #709 for Asian culture children's books. Is that enough for another? The cover has a READERS' FAVORITE - FIVE STAR sticker on it, but I don't know who rated it five star or if that is just an option from the self-publishing house. I'll add one last thing, you don't have to be of the Chinese culture to appreciate the book. If you want to introduce your child to the culture, this book is a great way to do so.